WHAT’S NEW AT BLUE VIOLET? 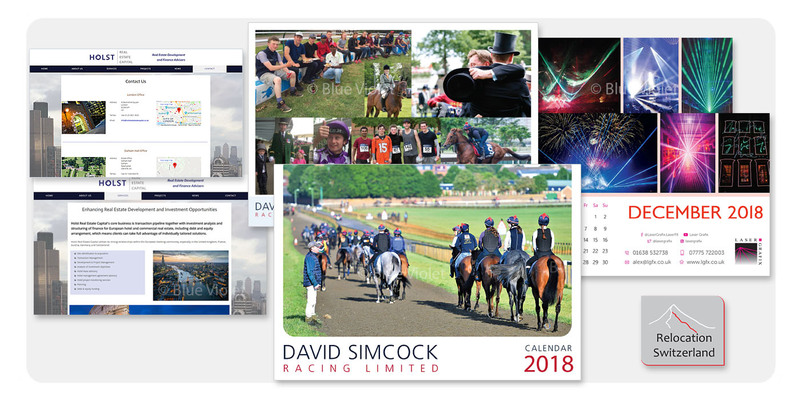 Late in 2018 we worked on a regular project with David Simcock Racing Ltd — their double-sided desk calendar, which continues to be popular with their clients and reflects another hugely successful year for the yard. 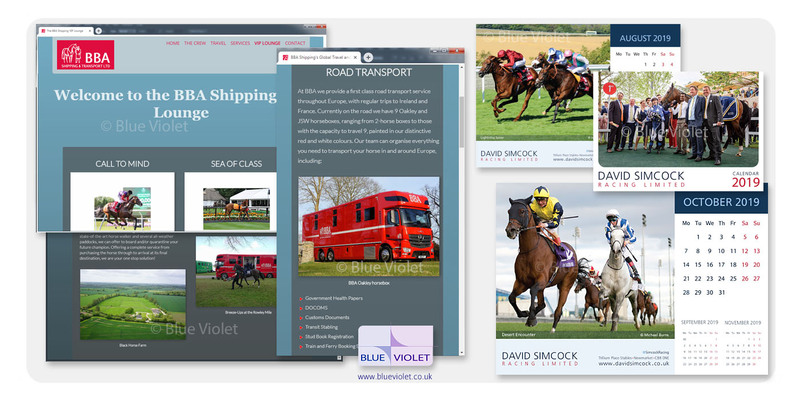 Early in 2019 Blue Violet relaunched BBA Shipping & Transport’s website — they are one of our longest-standing clients and we were delighted to work with them on this complete redesign of their site. 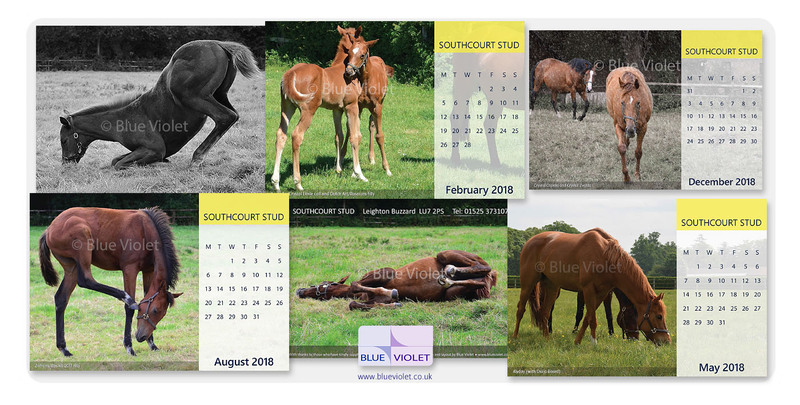 Autumn 2018 again proved a busy time for Blue Violet, a highlight of which was once again the production of Southcourt Stud’s calendar. 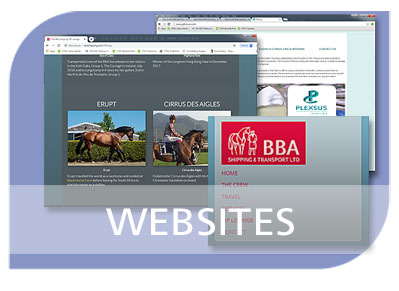 We photographed the stud’s bloodstock throughout the year, from the arrival of the first foals, and provided image editing, design and layout services. Highlights of Summer 2018 for Blue Violet included the launch of two new websites. 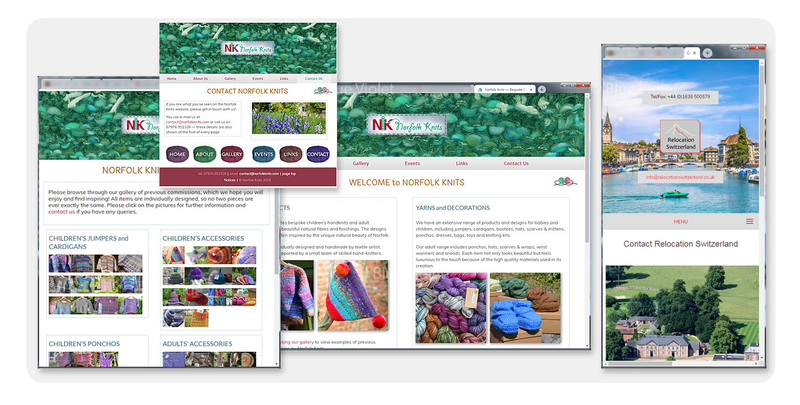 One was a rebuild for one of our first ever clients — Norfolk Knits. As always, it was an absolute pleasure to work with our valued client, and on such beautiful subject matter! 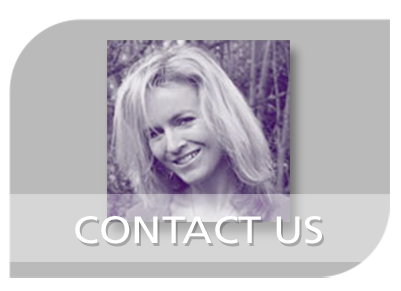 The project included photography as well as web and graphic design services. We also launched a brand new website for Relocation Switzerland, and wish them great success with the development of their exciting business. During Spring 2018 Blue Violet was delighted to create a new website for a longstanding client, Blackbird Accountancy, which reflects the business’s individual focus. 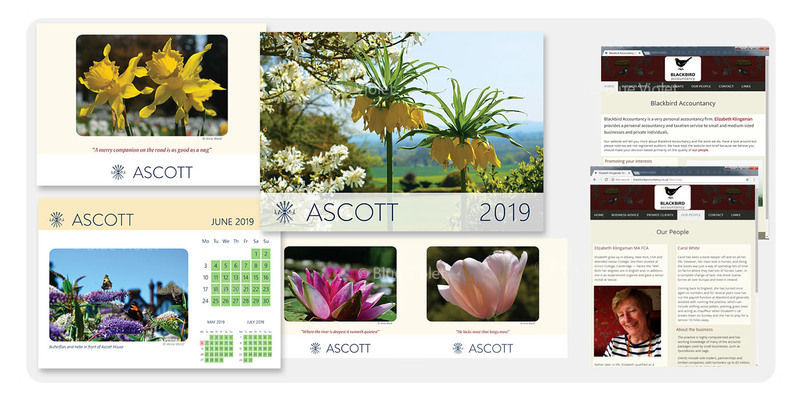 We also completed Ascott’s 2019 calendar, for which we provided graphic design and photography services. The calendar will be available to buy from Ascott House & Gardens from June 2018. 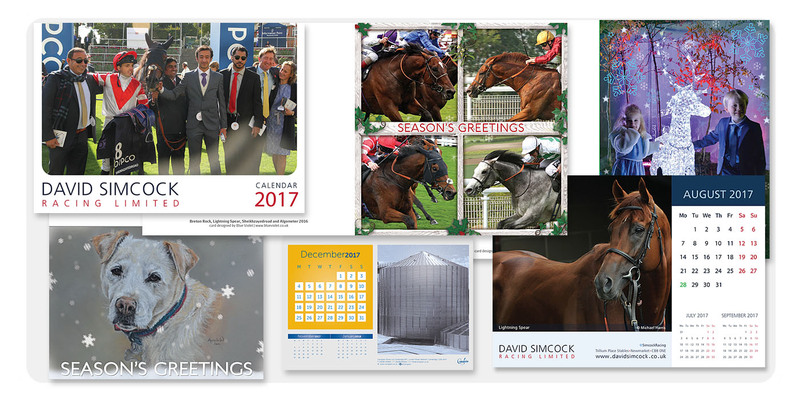 Blue Violet welcomed new clients during winter 2017/8, including Relocation Switzerland (logo design, and website in the pipeline), LaserGrafix (calendar design) and we once again designed David Simcock Racing Ltd’s desk calendar and greetings card. 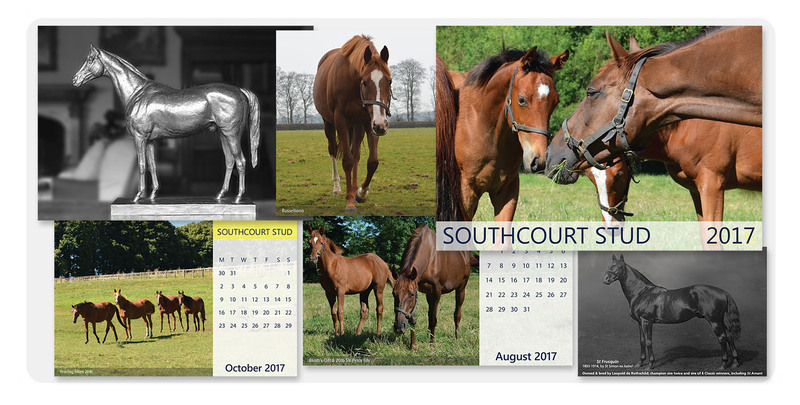 Autumn 2017 projects for Blue Violet again included Southcourt Stud’s desk calendar. 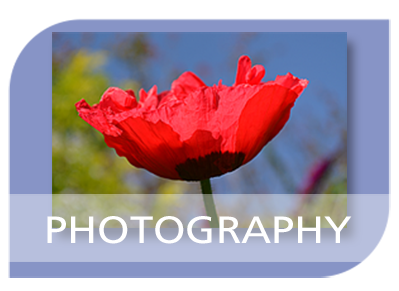 The assignment involved photography, image editing and calendar design & layout. 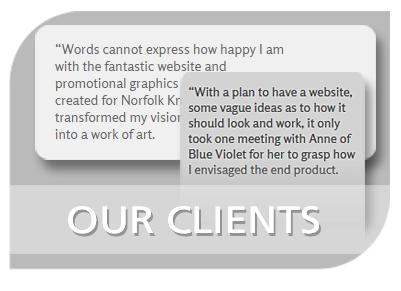 Blue Violet relaunched our first ever client, Auracle’s, website during summer 2017 and continues to work on many projects, including stationery for several clients. 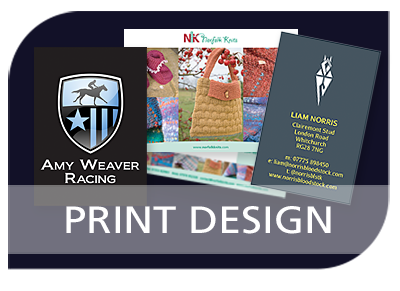 We also have further websites due to launch over the coming weeks. Blue Violet was busy during Spring 2017 on a range of projects for new and existing clients, including logo design, stationery design and layout, and signage. Blue Violet’s projects so far this winter include a range of seasonal greetings designs — both printed cards and e-cards — and calendar layout & photo editing. 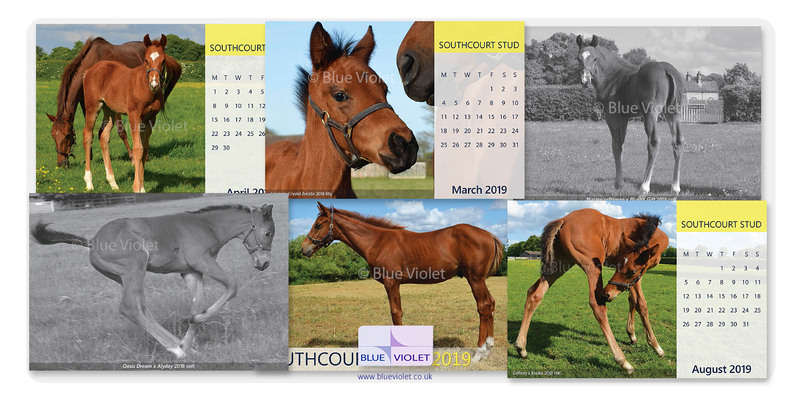 Autumn projects for Blue Violet included production of a desk calendar for Southcourt Stud. The project involved photography, retouching of historical images and calendar layout. 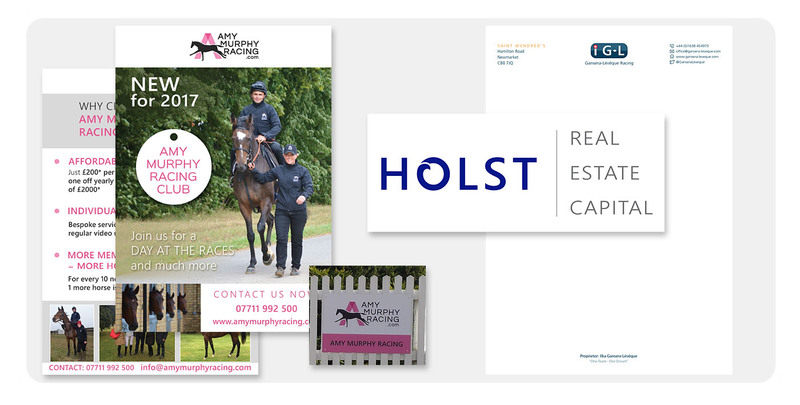 Projects over the summer for Blue Violet have included once again photography and calendar layout for Ascott. 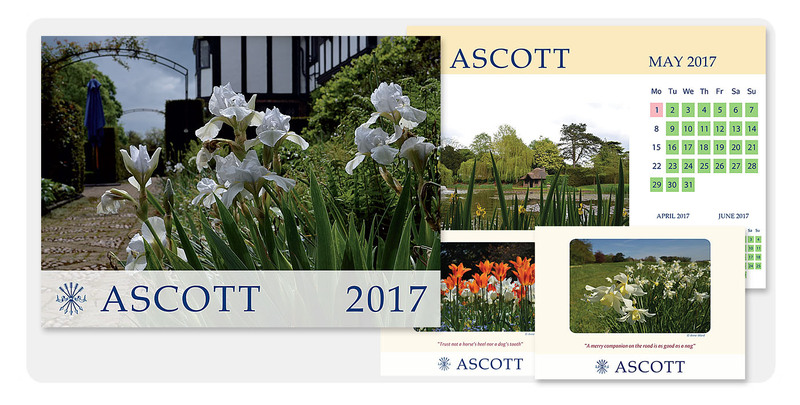 The 2017 calendar is available for sale through the Ascott Estate office. Blue Violet has been busy this spring and among our projects was the rebuild of longstanding client Comberbach Consulting’s website. As well as updates to content to reflect growth in the business, the structure has been completely changed so that it performs optimally across a range of platforms and devices. 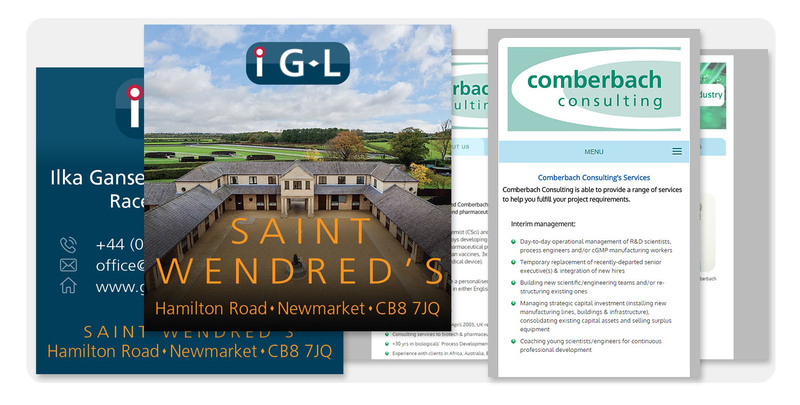 We have also redesigned racehorse trainer Ilka Gansera-Lévêque’s business cards, showcasing her beautiful new premises at Saint Wendred’s yard in Newmarket. 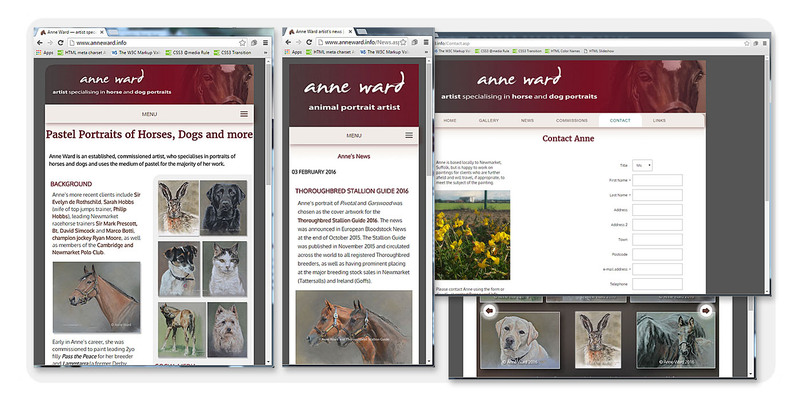 Among Blue Violet’s projects this winter was a complete rebuild of Anne Ward’s art website. Although the previous version performed well across a range of platforms and devices, and within search engine results, the new responsive site is a vast improvement in both respects, showing marked progress in search results within days of launch. The image above shows the site viewed on a smartphone, tablet (two sizes) and desktop computer. 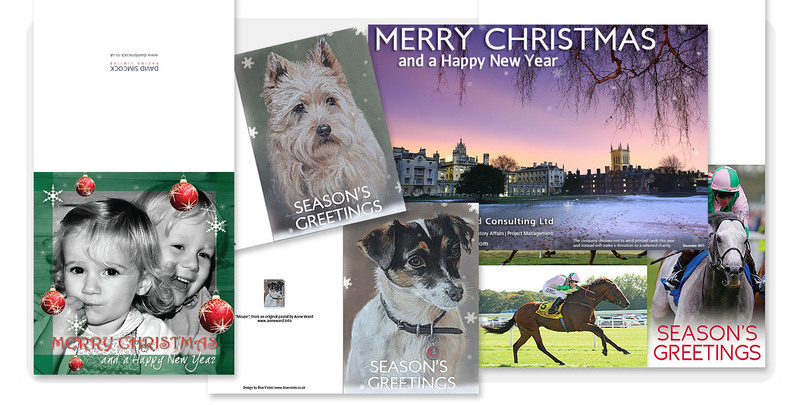 One of the highlights of every autumn for Blue Violet is the design of seasonal greetings cards for clients, which this year again included David Simcock Racing Ltd, Philip Bedford Consulting Ltd and Anne Ward. 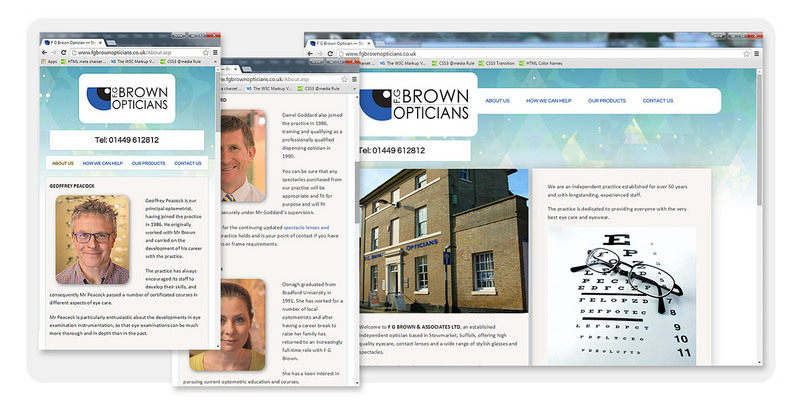 Blue Violet relaunched longstanding client F G Brown Optician’s website (above) in August 2015. 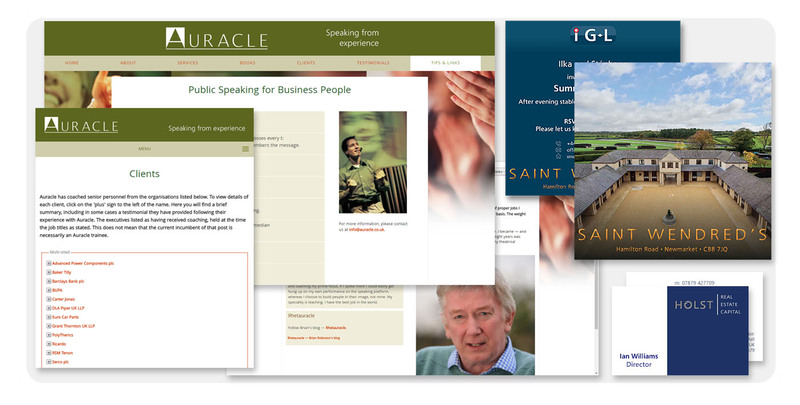 The new website is device-responsive, delivering tailored content to smartphones, tablets and desktop devices. 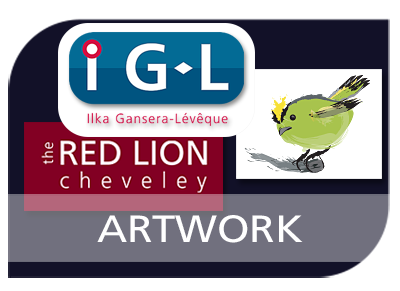 We have several further important projects in the pipeline to launch over the coming weeks, so watch this space! 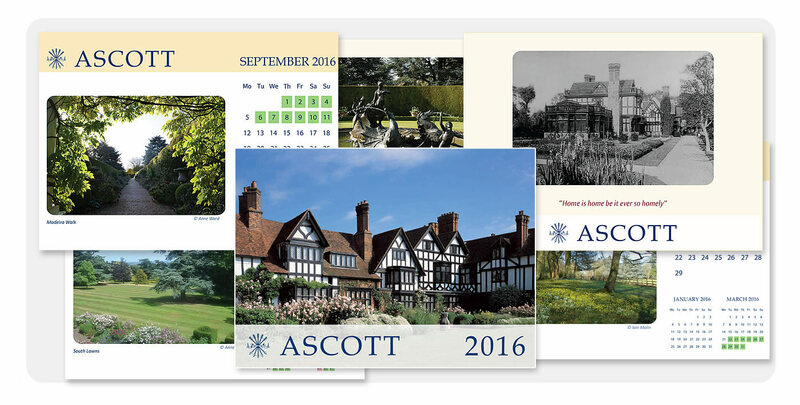 For the second consecutive year, Blue Violet has produced a calendar for the Ascott Estate (house and garden). As well as being responsible for the design and layout, Blue Violet contributed some of the photographs used within the calendar, and restored an archive picture that had become damaged. Copies of the calendar may be bought from the Estate’s tea room.